Trade waste products must meet the requirements as set out by the relevant water authorities. Mascot’s range of pre-treatment devices are approved by most water authorities across Australia. Please see relevant water authority websites for product listing of compliant devices. The product is either specified or is equivalent to what’s been specified. What is the design life of the proposed material? The product is suitable for the intended application. The product has been approved for use by the relevant water authorities. The product has been certified to withstand potential damage and corrosion from acid and alkaline soils. The product is guaranteed not to leach contaminants into the environment and potentially contaminate groundwater. Durability – will the product withstand the delivery and installation process. Does the product require additional equipment/machinery to enable installation? Does the product need to be concrete encased? Cleaning and maintenance – what is required in terms of frequency and cost. The experience of the manufacturer. Has the product been engineered specifically for the Australian environment? Is the manufacturer established and capable of honouring warranties and service levels (local support)? What happens when your preferred product is not specified? Quite often a hydraulic engineer will add a note along the lines of “or equivalent” when suggesting a particular brand or product for use in a given project. In this case, any product that meets the specifications of the specified product, whilst also being compliant with the governing water authority can be used. There are a number of reasons a contractor may prefer an equivalent product. The preference may suit the application or site (water charged ground) or the installation required (concrete encasing) may add significant on-site expense that can be reduced with another product. Regardless of the reason, most will result in cost savings either getting the product to site or whilst it’s being installed on site… not necessarily just the purchase price. Not all GRC is the same. Mascot GRC. Since the early 1980’s Mascot have led the way in the manufacturing of GRC products specifically for the Australian environment. Glass Reinforced Concrete has become the choice for many trade waste projects due to it’s proven durability and being lightweight in nature. Mascot GRC is engineered to provide maximum reinforcement through ensuring an even distribution of fibre content. This proprietary method produces a product higher in strength, resistance, and overall quality to standard GRC products available on the market. 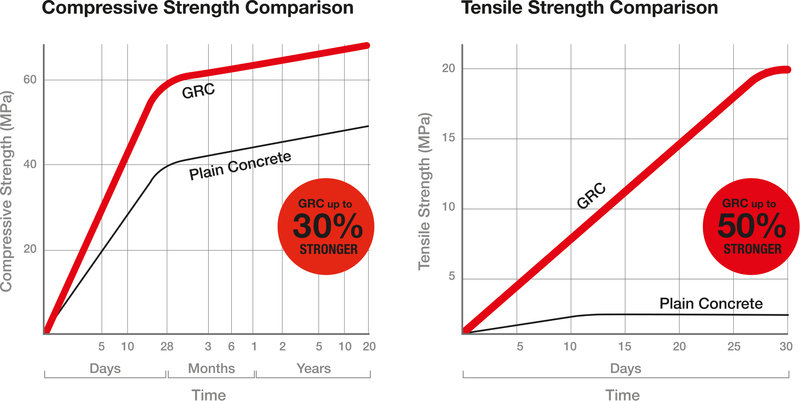 What is the difference between Mascot GRC and traditional steel reinforced concrete? Glass Reinforced Concrete (GRC) can be used wherever traditional concrete can be used. 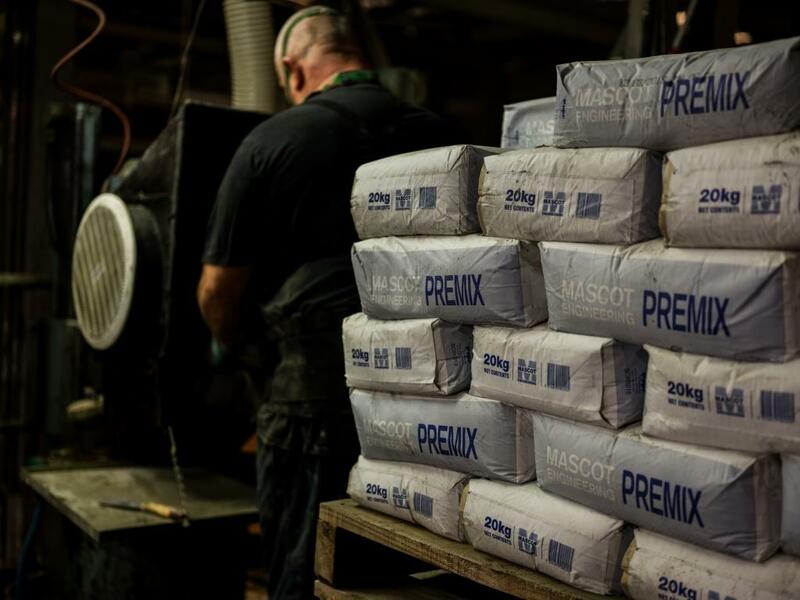 There are several differences between GRC and traditional steel reinforced concrete, however, the primary difference between GRC and standard concrete is that it is by nature much lighter in weight. Given that GRC contains reinforcement support throughout the product, it does not need the additional steel reinforcement allowing for a thinner section. Glass Reinforced Concrete has been shown to be up to 1/10th the weight of traditional steel reinforced concrete. More information on Mascot Engineering’s unique GRC can be found by clicking on the below links or exploring this website. Glass Reinforced Concrete: Why lightweight is better. Trade waste products are naturally large and bulky, requiring significant investment in transportation costs and the need for additional lifting equipment on site. Due to the lightweight nature of Glass Reinforced Concrete, savings can be made in terms of delivery and also costs associated with loading and unloading the products. For example, our 1000L WA grease arrestor weighs just 500kg, in comparison to a comparable steel reinforced concrete product, which weighs over 2 tonnes. Both products offer the same strength and both are certified for 50 years in the ground, however, the difference in weight makes for an easier install.